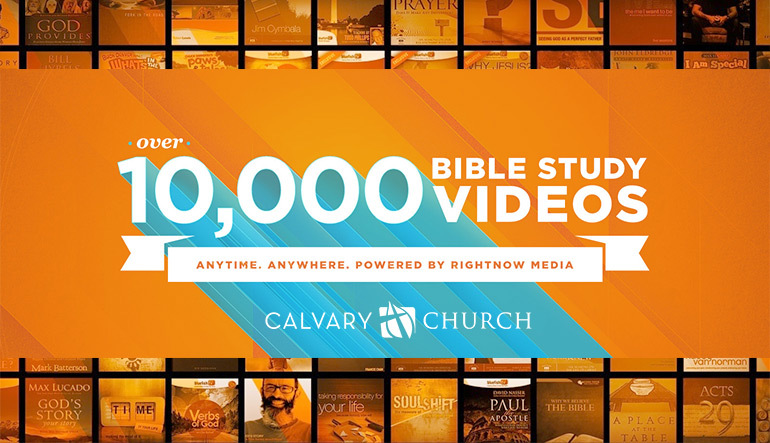 Calvary Church highly values equipping you and your families to grow in your faith, So, we’ve partnered with RightNow Media, which is like the "Netflix of Video Bible Studies," giving you FREE access to over 10,000 great videos for kids, youth, adults, parents, married couples and more. You can watch any of these videos instantly from your computer, mobile device or TV. If you're part of the Calvary Family, you may have already received an email invitation from RightNow Media. Follow the instructions in the email to create your account. Or, do you already have a RightNow Media account? Login To Your Account Here.